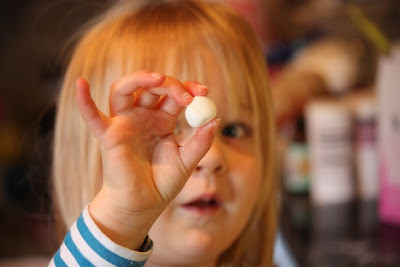 I have wanted to cook peppermint creams with Lara for ages. 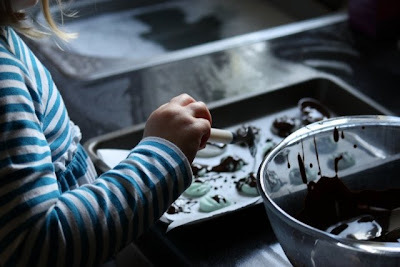 It is such a simple recipe that is perfect for cooking with preschoolers and at this time of year they are a classic that can be wrapped up beautifully and given as gifts. 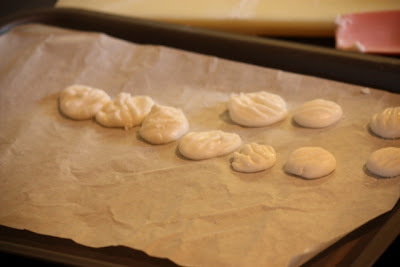 Our recipe has raw egg yolk in it so these peppermint creams aren't suitable for babies, toddlers, pregnant ladies or anyone else who has a sensitive tummy. Line a tray or plate with greaseproof paper. Whisk the egg white in a bowl until it is frothy and there are no runny bits left. 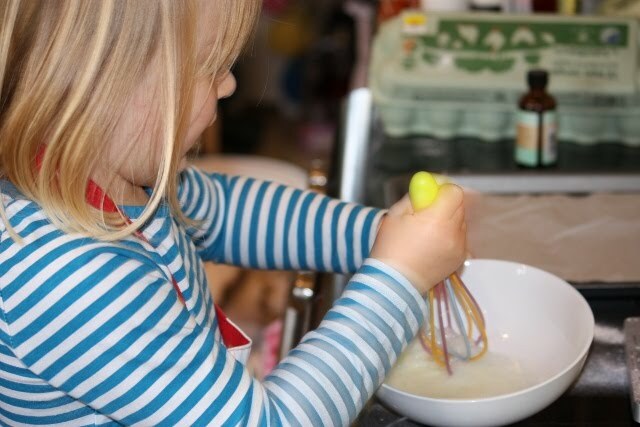 Stop whisking before it becomes stiff. Stir in the icing sugar. We used our hands once the mixture became really thick because it becomes a bit like a dough. Drizzle on a few drops of peppermint extract (a little goes a long way) and kneed the 'dough' well to combine the flavouring. This makes your hands smell fab. Split the mixture into two pieces - putting one aside. To the other piece, add the tiniest amount of green food colouring you can possibly imagine (we're talking molecules here) and kneed it in until the icing has turned an even pale green colour. 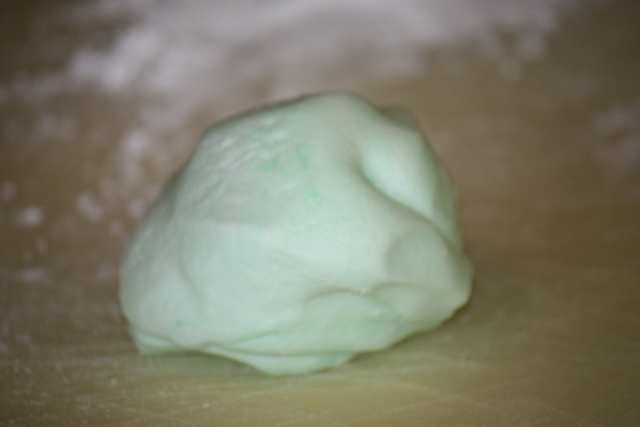 Tear off small pieces of the icing mixture, both white and green, and rub them round and round between your hands to make balls. Use a fork to squash each ball down into the tray. Once all of the peppermint creams have been made, chill them in the fridge for about 3 hours. 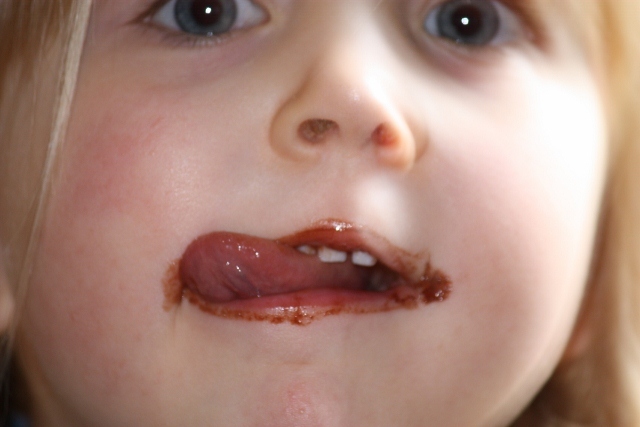 Once the peppermints have hardened you are ready to melt the chocolate. Break the chocolate into a heatproof bowl and place the bowl above a pan of simmering water to gently melt the chocolate. Once melted, allow to cool ever so slightly so that it doesn't burn tiny fingers. 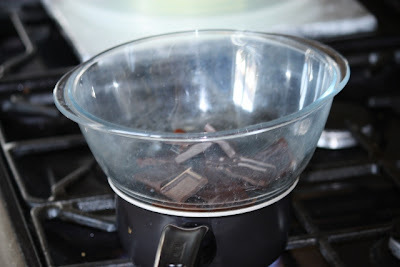 Dip some of the peppermints into the molten chocolate. With a spoon, drizzle chocolate over the other mints. Place back into the fridge for up to 24 hours to allow them to fully harden.